Last weekend I was on a whistle stop tour of Speyside and high on my list was to visit Glen Grant distillery for the first time. I was met by Shirley at the visitor centre, who was to show me around the distillery and she took the time to tell me about the history of the disitllery. I was unable to visit Major’s Grant Gardens due to a recent heavy snowfall making the paths too dangerous to walk. At this time the distillery was on a Silent Season, this downtime allows for maintainance, painting, cleaning and repairing, a truly valuable time allowing the rest of the year to run as problem free as possible. 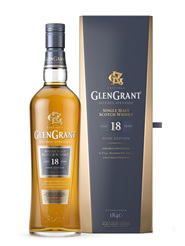 Glen Grant distillery has the longest serving Master Distiller in Scotland – Dennis Malcolm. He started work at the distillery as an apprentice cooper when he was just 15 years old. For the past 50 years Dennis has dedicated his life to maintaining the quality and integrity of Glen Grant. His passion and goal is to ensure that Glen Grant drinkers are happy, by guaranteeing that every dram produced by the distillery is of exceptional quality. The lead in Whisky in their range is “The Major’s Reserve” inpired by James ‘The Major’ Grant, this easy drinking single malt is the most fresh and light of the Glen Grant range. Creamy and fruity on the palate it has a slightly dry, nutty finish. The still room is wonderful sight, 8 stills (4 wash and 4 spirit). 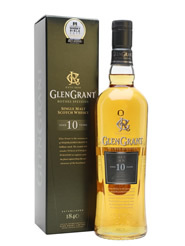 Unlike some heavier and more robust Single Malts, Glen Grant is crisp, clear, fresh and light. 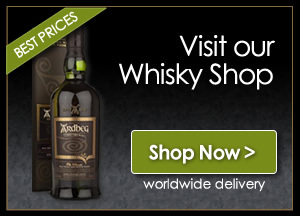 What really distinguishes it from other malts is the unique distillation process. As a first step they use incredibly tall stills, which help ensure only the lightest spirit becomes Glen Grant. Secondly they are the only distillery to use purifiers in both of their distillations. This was an invention of James “The Major” Grant which is still in use to this day. This ensure only purest vapour is allowed to pass from the still to the condenser, and therefore creates a fresh, and light whisky. If you are driving around Speyside be sure not to miss Glen Grant Distillery and Gardens, this one should be high on your list if not top. 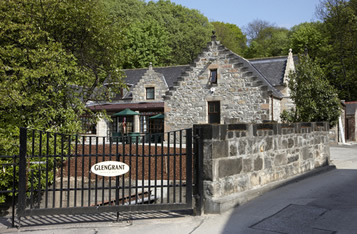 Glen Grant Distillery is at the north end of the village of Rothes about 10 miles south of Elgin on the A941 Grantown-on-Spey road. Here’s hoping you will be lucky enough to have a tour by Shirley, her knowledge of the distillery and it’s history is only surpassed by her bubbly enthusiasm for all things Glen Grant. On my next trip up to Speyside I will cerainly call in and say hello.